This life of Marcel Proust will send readers back to Proust's classic Remembrance of Things Past. To those who have never read it, or to those who have previously tried and failed, Edmund White's evocation of Proust's life and work will be the guide. White has a psychologist's appreciation for the strange personality of this charismatic genius. We see Proust the recluse who lay in bed all night long in his cork-lined room, obsessively rewriting his one massive work - but we also see the yearning, lonely boy, the brilliant wit and socialite, the ambitious grasper after honours, and the miserably closeted homosexual. 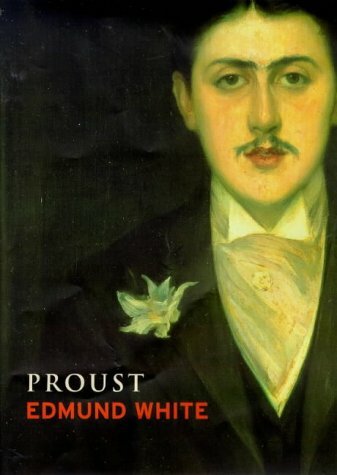 White, the author of an award-winning biography of Jean Genet and of the classic gay novel A Boy's Own Story, is uniquely suited to write this book, and Proust is currently enjoying a renaissance. Edmund White, the author of 13 books, was made a Chevalier de l'Ordre des Arts et Lettres. In the US he was awarded the National Book Critics Circle Award for Genet:A Biography.